February 25 is special day…100 years ago one of the greatest tennis entertainers and players, Robert Larimore Riggs was born in Lincoln Heights, Los Angeles. He loved the game, he loved the challenge and what he loved more than these two is the show and the excitement. 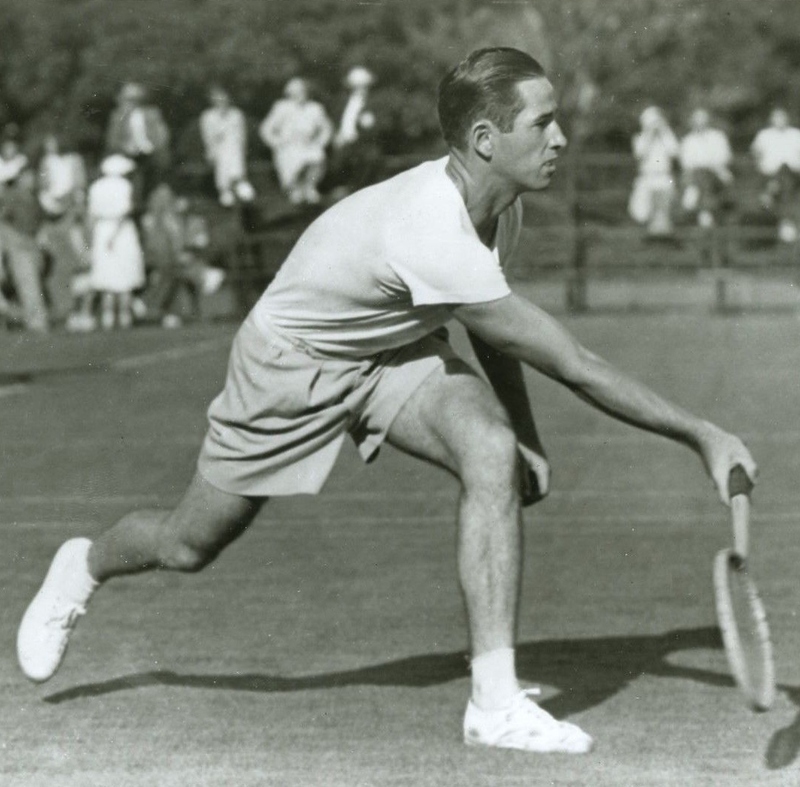 He is still the last American player who capturing the Triple Crown: winning the singles, the men’s doubles (with Elwood Cook) and the mixed doubles (with Alice Marble). In addition, as he admitted in his autobiography he had made $105,000 in 1939 by betting on himself to win all three Wimbledon championships. Riggs was considered to be an excellent multi-surface player (clay, grass, indoor) as well as he was the No. 1 player of the world in singles (1939) and doubles either (1942). One of his famous quotes was :’I want you to know who’s the boss, for the rest of your life, Kid,’ as he told the young Jack Kramer. In 1973, Riggs challenged the best female players at that time; first he demolished Margaret Court (6-2, 6-1) in a match called ‘the Mother’s Day Massacre’. Then later Riggs lost against Billie Jean King on September 20 (6–4, 6–3, 6–3). He won 99 tournament during his illustrious career and his match winning record is 72.8%.